Hickory Lakeside covers over 50 acres of lakefront property near the southern end of Lake Lanier. Boasting close proximity to metropolitan Atlanta and convenient access to GA 400, this new community is an enticing retreat for both full-time and part-time residents. 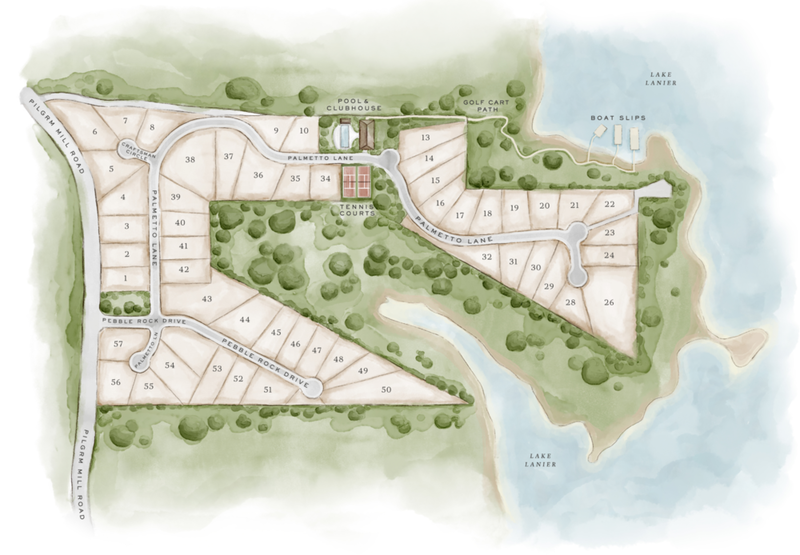 Taking advantage of the natural surroundings and lake views, home sites are offered across three product types: Lake View homes, Forest View homes and Cottage homes.